Sitting down to watch the PlayStation Meeting 2013 press conference, I was doing my best to temper my excitement. It seemed very likely that a brand new PlayStation console would be announced, and I've been quite loyal to the Sony brand consoles (though this has a little more to do with how cost-ineffective it is to own multiple consoles). And almost right away Andrew House announced the PS4. Amid a great amount of exciting rhetoric, the console was introduced as a something similar to a "Supercharged PC." Though it's difficult to have any idea how exactly this will play out, PC has been grounds for some of the most interesting and innovative games, so this could be exciting... with it's supposedly simple path from PC development. It would seem like Sony's recent purchase of Gaikai will be put to use through the new PlayStation network along with social networking to make something very social and very cloud-centric. This may not be a system-selling feature, it is intriguing to me. Just think: remote game play with PS4 as a game server and PSVita as client. It sounds really cool, albeit very, very expensive. When it comes down to it, though, I think we all just want a health supply of new, innovative (sorry for the buzzword) games as well as the games that remind us of our childhood. Hopefully, this innovation results in something other than a glut of low-brow shooters. I mean Killzone 4 looks freaking gorgeous, but I'm not even remotely interested in playing it. Jonathan Blow's The Witness looks like it could be the sort of experience that I could get excited about. His interesting game Braid was really interesting, and I appreciate his valiant attempts to do very new things. The brand new tailor for the game communicates a great deal of whimsy and wonder, and I hope that the finished product is the sort of game that inspires a sense of adventure, which very few games do. Of course, inspiring emotion is the very goal that game creator David Cage has attempted, with varied levels of success, for years. He draws a connection between video games and film. Film required technological advancement to reach the point where emotion could be communicated effectively. He makes the claim that the PS4 (and, I guess, the coming console generation) will mirror that technological tipping point. The tech demo that he showed thereafter made a strong argument for his point, though a slightly creepy one. Ubisoft's Watch Dogs doesn't appear, at first glance, to be remarkable, but I think that an open world game is the perfect canvas upon which to exercise some computational muscle. The game is about a "smart city" that would ideally be filled with large numbers of unpredictable entities. Of course, there were a number of other partners that turned up for the press conference (not the least of which were Square Enix, Blizzard, and Bungie), showing short clips and tech demos that really excited me. 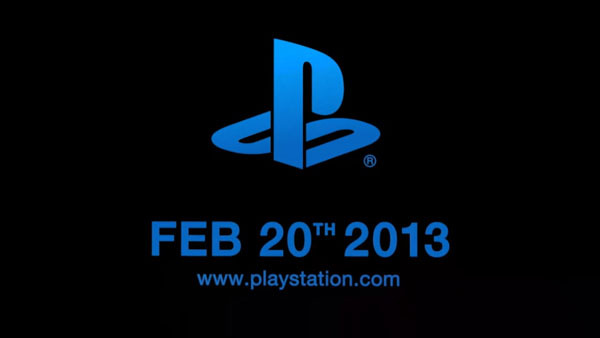 And the PS4 is coming during the holiday season at the end of 2013. How excited are you for this?